VIENNA (Reuters)–The U.N. nuclear watchdog said on Thursday that Iran was endangering support for a landmark deal with major powers by twice overstepping a "soft" limit on sensitive material. The International Atomic Energy Agency (IAEA) said in a report last week that Iran had slightly exceeded the 130-ton limit on its stock of heavy water for a second time since the deal was put in place in January, although it had not concealed the fact and had proposed remedial action. The six other countries that signed the deal, including the United States, have been muted in their criticism. But there are questions about how U.S. President-elect Donald Trump–who has strongly criticized the deal and said he will "police that contract so tough they [the Iranians] don't have a chance"–would handle any similar case once he takes office. According to the text of a speech to the IAEA Board of Governors, agency head Yukiya Amano said it was "important that such situations should be avoided in future in order to maintain international confidence" in the implementation of the agreement. Last week's report said Amano had expressed concerns to Iran over its stock of heavy water, a material used as a moderator in reactors such as Iran‘s unfinished one at Arak, which had its core removed and made unusable under the deal. 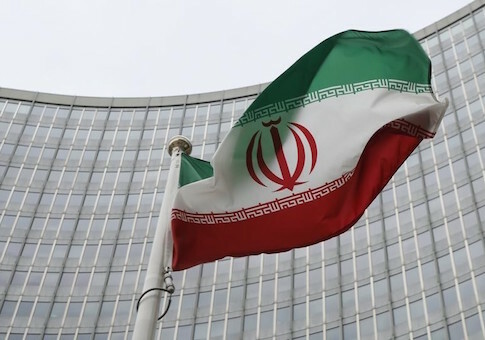 The international agreement places restrictions on Iran‘s atomic activities, monitored by the IAEA, in exchange for the lifting of international sanctions against the Islamic Republic. Rather than setting a strict limit on heavy water as it does for enriched uranium, the deal estimates Iran‘s needs to be 130 tons and says any amount beyond its needs "will be made available for export to the international market". "Iran has … made preparations to transfer a quantity of heavy water out of the country," Amano said. "Once it has been transferred, Iran‘s stock of heavy water will be below 130 metric tons." Last week's report said Iran had put the amount to be exported at 5 tons. At a news conference later on Thursday, however, Amano would not say when the transfer would be made, how much heavy water would be shipped, or where to. He also would not be drawn on whether the material had been "made available for export" as the deal requires, and as a letter sent to the agency by Iran this month said it had. "Please ask the Iranians," he said. This entry was posted in National Security and tagged International Atomic Energy Agency, Iran, Iran Nuclear Deal, Nuclear Weapons. Bookmark the permalink.